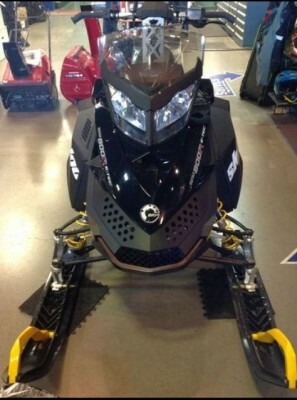 New 2012 Summit SP 800 E-tec snowmobile with no miles and full one year factory warranty. 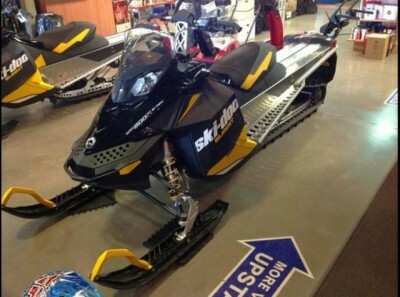 The Summit SP is a top-of-the-mountain sled. 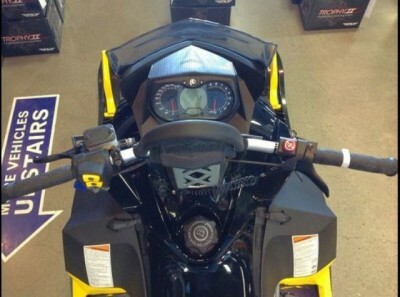 Powerful Fuel Injected 2-stroke 800cc Rotax engine is the most efficient of any mountain snowmobile. Less money spent on gas and oil. A 163" track means more float in the powder. This is as low as they get, $8286 + sales tax. Upgrade to the new tMotion suspension for $500, installed. Ask about an extended 5 year warranty.